Sally Gunnell OBE awards Jubilee Hall Trust staff their ‘Oscars’! Jubilee Hall Trust (JHT) held its annual Staff Oscars event on Friday 8th May at Grosvenor Casino in Leicester Square. The evening was a great success, with a high staff turnout to hear special guest speaker, former athlete, Sally Gunnell tell her story. Sally, appearing as a Matrix Fitness ambassador, won the gold medal in the 400 metre hurdles at the Barcelona Olympics in 1992, and talked about the very different world of athletics in the eighties and nineties. But the real stars of the show were the employees, who helped celebrate a year in which three out of four of the centres had smashed their financial targets and the charity had received more than 250,000 visits to the centres and programmes, with 13% of these from concessions and disadvantaged groups. 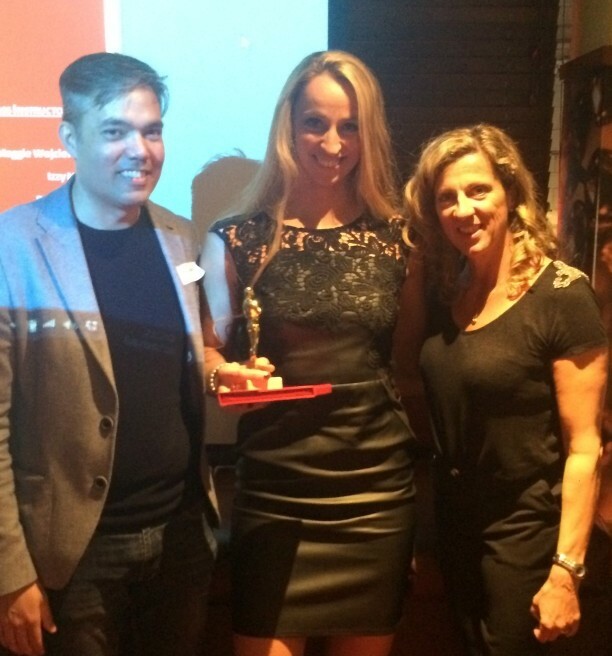 The awards – Red Letter Day vouchers, as well as the much coveted ‘Oscars’ – were presented by Sally Gunnell and JHT Chairman, Steve Cabrera.